People who were born in 1935, 1947, 1959, 1971, 1983, 1995, 2007, 2019 belong to the Chinese Zodiac of Pig, a symbol of compassionate, generous and diligent. Ready to ring in the Lunar New Year with fun and entertaining ideas? Take your Lunar New Year Celebration and spruce it up just in time for the 2019 Year of the Pig. The long time celebrated occasion is a time to commemorate prosperity, health, and good fortune with friends and family. With so many historic ideas, we at Innovate Marketing Group, take a modern twist to celebrate the traditional holiday. From the lion dance, tea ceremony, sugar painting, Chinese calligraphy, to dough modeling, these activities will sure get your guests off their feet and engaged. 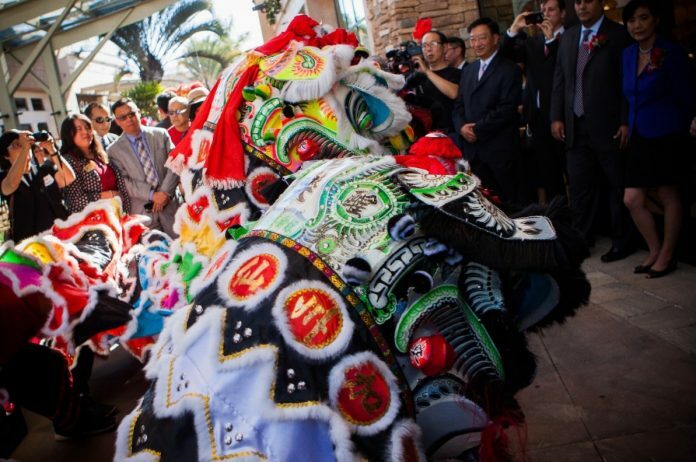 The traditional lion dance brings your event to life with a bang. Lions will be awakened in the eye dotting ceremony and scale to new heights as they dance their way through the crowd. The lions interact and welcome guests with the batting of their eyelashes. This traditional lion dance can be used for many occasions especially grand openings as it brings good luck and fortune. For a more relaxing option, guests can learn the art of tea during a traditional tea ceremony. The tea ceremony represents harmony, respect, purity, and tranquility; pair that up with a traditional Asian instrument performance and your event will truly bring the cultural aspect to life. A traditional folk art: sugar painting uses hot, liquid sugar to create intricate designs, ranging from animals to flowers. Kids will love this sweet snack to celebrate the new year. On to more hands-on activities, turn your guests’ names into a Chinese calligraphy work of art! A calligrapher can translate names into Chinese characters for some great memorabilia to take home. Unleash your inner artist by creating dough figurines using a base of glutinous rice flour. Guests can sculpt and design different characters and animals into various shapes and bright colors, such as a pig to celebrate this year’s Zodiac animal! Take your Lunar New Year Celebration to a whole new level with these fun and festive ideas. Merging tradition, fun, and festivity, these Lunar New Year event ideas will surely delight all guests and add a unique touch to your event. Use the chart below to discover your Zodiac Animal and corresponding personality trait based on the year you were born.